You're welcome to listen! 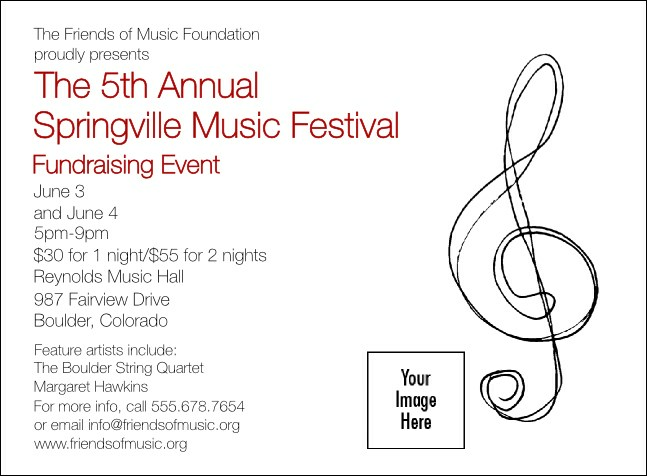 Hear the sweet sound of success when the Music Festival Invitation is your opening theme. For rock bands or symphony orchestra, this invitation template, with a black treble clef and a matching Event Kit, is a sharp way to inform concert-goers of your upcoming event. With fast delivery, TicketPrinting.com keeps your organization moving forward.